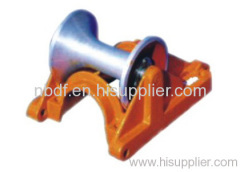 Underground cable roller is used for installation of underground power cable. We have designed and produced different types of rollers for installation power cable in the trench. Group of Underground cable rollers has been presented above, want more	Underground cable rollers and cable roller, Please Contact Us.